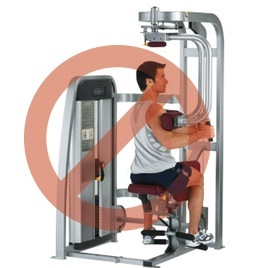 If You’re Using the Seated Rotation Machine… STOP! I’d like to take a sledgehammer to the machine that’s supposed to help melt away your love handles. What it’s supposed to do is tone your abs by train the abdominals and obliques. 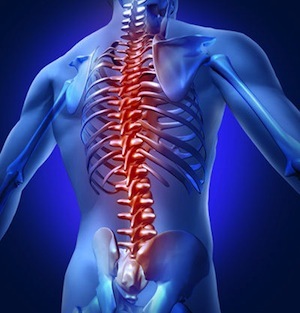 What it actually does is increase the risk of spinal injury. Because the pelvis doesn’t move with the chest, your hips are designed to rotate as well. Not allowing the hips to rotate puts excessive forces on the spine. A better exercise to do is the cable wood chop. Stand to the right of the high pulley of a cable machine and grab the handle with straight arms over your left shoulder. Keeping your arms straight. In one movement, pull the handle down and across your body to your right hip, twisting at the core and the hips. Reverse the movement to return to the starting position. Aim for 10 to 12 reps, switch sides and repeat.